Ground-penetrating radar (GPR) is a rapidly developing field that has seen tremendous progress over the past 15 years. The development of GPR spans aspects of geophysical science, technology, and a wide range of scientific and engineering applications. It is the breadth of applications that has made GPR such a valuable tool in the geophysical consulting and geotechnical engineering industries, has lead to its rapid development, and inspired new areas of research in academia. The topic of GPR has gone from not even being mentioned in geophysical texts ten years ago to being the focus of hundreds of research papers and special issues of journals dedicated to the topic. The explosion of primary literature devoted to GPR technology, theory and applications, has lead to a strong demand for an up-to-date synthesis and overview of this rapidly developing field. Because there are specifics in the utilization of GPR for different applications, a review of the current state of development of the applications along with the fundamental theory is required. 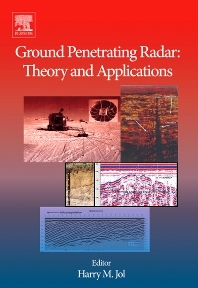 This book will provide sufficient detail to allow both practitioners and newcomers to the area of GPR to use it as a handbook and primary research reference. Harry Jol earned his B.Sc. and M.Sc. from Simon Fraser University (Canada) and Ph.D. from the University of Calgary (Canada, 1996). After 2 post-doctoral fellowships, he accepted a position at the University of Wisconsin-Eau Claire where he is presently a Professor. During his Master's degree he worked on the Fraser River Delta conducting a high resolution shallow seismic program in collaboration with the Geological Survey of Canada. During in his Ph.D. research through to the present he has utilized ground penetrating radar (GPR) at more than 1200+ sites in North America, Europe, Israel, New Zealand, Australia, and Antarctica which has resulted in being nominated and awarded Fellow of the Geological Society of America. Harry has a broad background in the earth sciences, particularly geomorphology, stratigraphy, and geoarchaeology. His collaborative research includes undergraduate students and results from these projects have resulted in numerous publications, conference presentations and three edited GPR volumes.